Gorgeous Trinidad Carnival costumes by Tribe. Ronnie & Caro 2015 costumes! Welcome to The Trinidad Carnival Survival Guide for Carnival Virgins, Carnival Veterans and Carnival Babies! What? Carnival festivities began in Trinidad and Tobago over 200 years ago. The Carnival takes certain aspects from Nigerian (Egungun), French and Spanish folkloric roots due to the mixing of colonizers and slaves. Where? The Republic of Trinidad and Tobago is the southernmost nation in the Caribbean archipelago. Trinidad is the main larger urban island. Tobago is smaller and is known for its easy-going lifestyle and amazing beaches. Who? Trinbagonians (Trinidadians and Tobagonians) are like you and I. Some have ancestors who were the indigenous inhabitants of the islands – the Caribs. Other Trinis have Nigerian, Ghanaian, Indian and Chinese ancestry from their enslaved forefathers. And others came from England, France and Spain as slave owners or from Syria and Lebanon to flee persecution. When? Trinidad Carnival falls on the Monday (Lundi Gras) and Tuesday (Mardi Gras) before Ash Wednesday every year. WHEN SHOULD I ARRIVE FOR TRINIDAD CARNIVAL? If you are short on time, I’d suggest you arrive on Fantastic Friday (Carnival Friday) which is 3 days before the climactic Carnival Monday and Tuesday. WHAT IS THERE TO DO DURING TRINIDAD CARNIVAL? Fete, fete and more fete! A fete is Trini talk for a party. Fetes can be small get-togethers (known as a lime) but generally they are huge rave-like parties at clubs, arenas and private mansions. Beach lime. Pre-fete lime. Post-fete lime. Lime on the corner. Lime at home. Ahlittle lime. Lime on De Avenue (Ariapita Avenue). Do you notice a trend here? Shark and Bake. Bake and Shark. Doubles. KFC (Trinidad and Tobago’s is real bess). Pelau. BBQ Chicken and Chips. Callaloo. Corn Soup. Puncheon. White Oak. Angostura. Fernandes Black Label. Rum Punch. Carib. Stag. Dimanche Gras – King and Queen of Carnival. Jouvert (Dirty mas). Expect to be pelted with mud, water-based paint or chocolate sauce. The dirtier the better. 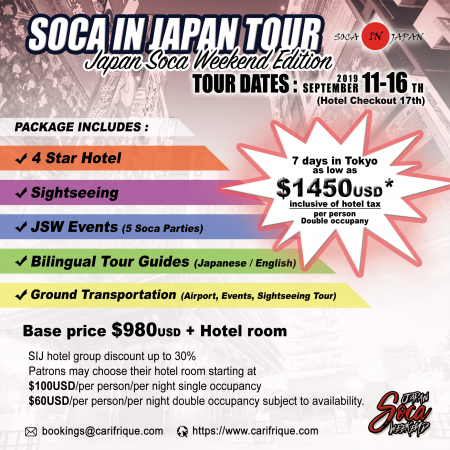 …arrive in Trinidad and Tobago just after Christmas and you have a chance to hear the newest Soca, Chutney and Calypso music live at the pre-Carnival fetes, Steel Pan Semi-Finals, International Soca Monarch Semi-Finals. Look cute. It’s the perfect time to look your best in that short colourful jumper you bought last summer. Or remember that long flowy halter maxi-dress? Or even that stretch mini-dress will be perfect with some bling sandals. The key is to look great – effortlessly. Invest in a professional make-up artist for Carnival Tuesday and be the diva you were meant to be. No white sneakers on the road please. Buy a cheap pair of boots (one size larger than normal) that match your costume. Low-waist skin tone tights are a great way to look sleeker in photos and gives an extra touch of specialness to your costume. Buy good insoles and wear comfy socks inside. Don’t bother getting pedicures because it’ll make your soles too delicate for all the walking and dancing you’ll be doing. For an easy pedi rub sand on your feet if you go to the beach. Stockings are extremely helpful so stock up on 2 pairs per day (Carnival Monday and Tuesday) because they will rip. They come in light, medium and dark browns. If you decide to play mas (participate in Carnival Monday and Tuesday with a band) you will get a Monday costume (usually a t-shirt). Pair the t-shirt with short shorts, your Carnival boots and tights. For Carnival Tuesday, wear the entire formal costume and remember to smile for cameras and stay in yuh section when it’s time to cross de stage. Your band may also include a goodie bag filled with condoms, coupons, jewelry, sunblock, creams, etc. Many bands will provide meals, snacks, alcohol, water and soft drinks on Carnival Monday and Carnival Tuesday. Bring sunblock, beach towel(s), bathing suit(s), and wrap your valuables in a ziplock bag and keep them in a cute little pouch. You won’t want to carry anything big when you go to the fetes and Carnival. Although it’s Dry Season during Trinidad Carnival, your delicious foreign blood might attract mosquitoes, so bring a citronella-based repellant and anti-itch cream. I HEARD THAT TRINIDAD AND TOBAGO IS SERIOUSLY DANGEROUS! According to the travel advisories of several countries and local news reports, Trinidad and Tobago is a dangerous, crime-infested country. Luckily for you things are more peaceful during Carnival. Most fetes and bands have tons of competent security. Don’t walk around paranoid but always be aware of your surroundings. 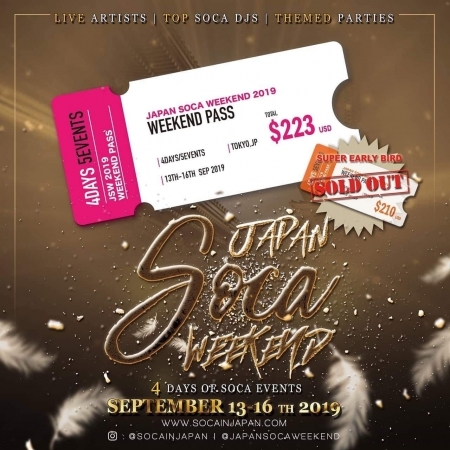 The fete promoters and band leaders’ purpose is to give you what you pay for – the best stress-freebacchanalist time ever – so the riffraff stay away. ARE TRINBAGONIANS ACTUALLY SPEAKING ENGLISH? Yes, English is the official language of Trinidad and Tobago. However, Trinidadian English is a dialect with some unique words and a beautiful undulating accent. Wining, bouncing, juking, pelting a waist, rolling a bumper, bending down low, etc are how Trinis get on bad and have ah time. It’s not considered nasty unless you’re hyper religious. At the fetes and Carnival men will teef ah wine from you. They will come behind you and wine up on ah bamcee (wine on your bum). If you let them. There is absolutely nothing wrong with letting them wine on you. But if at any time you don’t want it, just stop. He should get the point. If he doesn’t then glide away. No scene (no problems). You will meet lots of men who will be interested in getting to know you physically. (If they ask) politely say that you’re staying with your cousin in Maraval. If you want them to trail you back to your hotel then that is your choice. You may get drama from some Trini men who may ask you how yuh doin dem like so gyul, etc. Some men will beg for it. Trinbagonians are very blunt. They will tell you how they feel but usually in a funny, nonchalant way. You probably won’t hear many Trinis cussing (F bomb) unless they are seriously angry. They will use other colourful language instead. WHAT DO YOU ACTUALLY DO DURING CARNIVAL? Dance until your feet hurt, dance some more, drink ah rum (water, energy drinks, juice, sorrel, mauby are fine too! ), eat ah food (macaroni pie, callaloo, doubles, roti, BBQ chicken, pelau), meet new people, hold on to old friends, take lots of pics, get sun burnt, smile, laugh, have fun and don’t sleep until Ash Wednesday!